With students heading back to school, I just wanted to highlight an amazing stationary company that is both eco-friendly (100% Recyclable Material) and has a wonderful mission and ‘Give Program’. Ecojot ‘s give program goes with the ‘Buy 1, Give 1’ philospothy… with the sale of their journals and sketchbooks, they donate a school workbook or pencil to a child in need. 141,000 notebooks to countries all over the world including, Haiti, Kenya, Tanzania, Nigeria, Poland, and Zimbabwe. Our mission is to continue giving to children around the world. Many children in developing countries can’t attend school because of lack of supplies, therefore by Ecojot implementing such a program, they are providing children with the necessary tools to achieve an education that is the biggest gift a child can receive. Every child deserves health and an education, and I think as our generation grows older, we have to nurture, and really advocate for these little voices, who simply don’t have the power or voice they deserve. 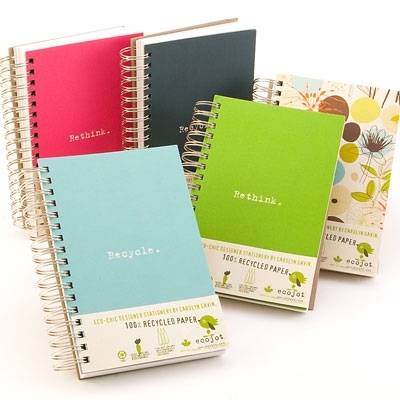 If you are in need of journals, sketchbooks, notecards and stationary, for back to school or your office. I would highly recommend buying some Ecojot ones! They have the most beautiful and colorful designs, that bound to not only catch the eyes of others, but everytime you look at it, you can smile, knowing you made a child smile just the same. Check out their website, which you can purchase from or you can see where it is sold where you live (they distribute worldwide).